Japan has a lot of automobile making companies that provide services and supply goods worldwide. To mention some, there are the likes of Toyota, Mazda, and Nissan. Each of these big companies has their own tuning factories and development centers but none of the other in-house tuning divisions compare to what the Nissan in-house tuning division has done. It is called the Nissan Motorsport International Limited but due to its lengthy name, it is usually referred to as NISMO. 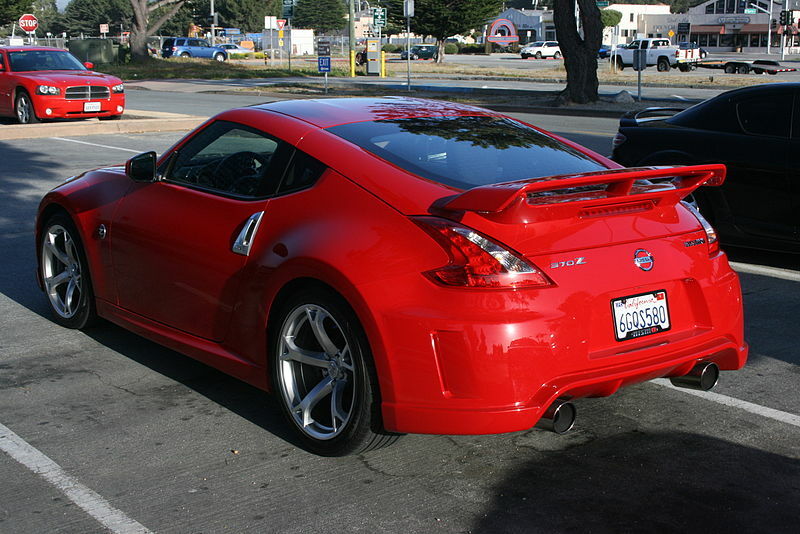 Nissan has been in business since 1933 but the division of Nismo wasn’t established until September of 1984. This makes the company nearly 35 years old and within that time, they have created some amazing and business-saving things for the company of Nissan. Nismo is certainly a business that belongs to the motor vehicle industry but they focus more on tuning and racing rather than the things that Nissan, Mazda, and Toyota focus on with their car models and designs. Despite being a mere division of Nissan, they are able to create an annual revenue of nearly 2.9 trillion yen per year with just the scope that they cover nowadays. Nissan didn’t just establish Nismo out of thin air. It was the result of a major move they made in 1984 which involved two motorsports divisions in a huge merger. These divisions were the Publication Division 3 or the Oppama Works, and the Special Car Testing Division or the Omori Works. The Oppama Works was in charge of meeting the needs of the privateer teams while the Omori Works was in charge of running all factory operations within their plant. With this said, it made perfect sense to get the two together and hence the Nismo was born. The company would then be specifically assigned to focus on sports car racing. With all that automobile tech around you, it was only a matter of time before Nismo made their own car. This happened in the year 1988 and the car that was built was called the Saurus. It was for motorsport and, although it isn’t a famous car that everybody knows about, it was able to contribute tremendously to Nissan’s racing because it would be from this Saurus that the Nissan Saurus Jr. would be created. It isn’t a famous car either but it is still the car being used for advanced racing classes in this day and age and that should say a lot about it. Aside from making parts and cars under Nissan, Nismo has done big favors for some of Nissan’s cars as well. They make aerodynamic accessories as well as alloy wheels, suspension parts, and engines but, furthermore, they create game-changing aftermarket items and tuning kits. This happened recently with the 2017 model of Infiniti Q60. It was a good car but buyers found the sound that the stock exhaust made a bit too loud for their liking. This lowered sales for this model until Nismo came up with a special Nismo muffler that upgraded the muffler, in a way, and fix the noise problem for the Q60. It was made available to Infiniti dealers so that they could offer it during the selling to avoid turn downs by buyers. If you didn’t’ know, the brand Infiniti is the luxury division of Nissan and this is why Nismo a piece that was so fitting for the Infinite brand. Because Nismo cars are usually in motorsports, it would be normal to not know about them unless you follow the motorsport world. If you do happen to follow this, you would probably know that Nismo has been very active in things like the JSPC, 24 Hours of Le Mans, JTCC, and even the 24 Hours of Daytona. These are all well-known racing events and series’ which test different things in the car such as speed, endurance, and handling. When you talk about car factories, what usually comes to mind is the mess of bolts and gears scattered all over the greasy floor of the workshop. This is definitely a true scenario for some automobile workshops but not for the Nismo factory. The factory being talked about here is the Nismo Omori Factory found in Yokohama, Tokyo and it truly is an establishment that will make you drop your jaw. If you agreed with the visualization given above about automobile workshops, you will be in awe when you visit the Omori factory because it honestly looks like an exhibition room for all types of Nissan cars rather than a workshop. You cannot enter the workspace itself but the walls and partitions here use glass to allow visitors and customers to see what is going on behind the scenes. Seeing this Nissan workshop can definitely make you want to bring in your car even if there isn’t anything wrong but it isn’t the best part of this establishment yet because that would have to be the accessories shop of this factory. Do not be misled. Nissan, Infiniti, and Nismo cars are all good-looking as is but there are times when you don’t know you want something until you see it. Going to the accessories portion of the factory will keep reminding you of this fact because there are truly so many things you can find here. Aside from the variety of exterior car accessories you can find here, they also have differently styled shifting knobs for those who want to design that part of their Nissan car. As stated earlier, they also have aerodynamic parts for cars. In addition to this, they also have components for things like the clutch and radiator as well as unusual pieces like springs, oils, and possibly even turbochargers. Shipping and shopping for car parts and car accessories will always be expensive. After all, it takes a certain amount of specialization and mastery to create the parts and accessories that they have for sale. Fortunately, buying parts in the Omori factory can still save you money because if you compare the price of a specific part or accessory to one that is sold elsewhere, you will realize that the pieces and products in the Omori factory are discounted, even by only a little. All products here are priced in JPY and if you convert it to US dollar, it becomes clear that you won’t find any Nismo part or accessory sold at that price. If you have money to spend and if you also happen to love Nissan cars, there is no doubt that you’ll be spoiling yourself and your car with all the goodies that you can get here. Exploring the factory further will eventually lead you to the showroom mentioned earlier. This room changes what it showcases quite often because it is where Nismo displayed their latest products as well as some of their iconic works from the past. 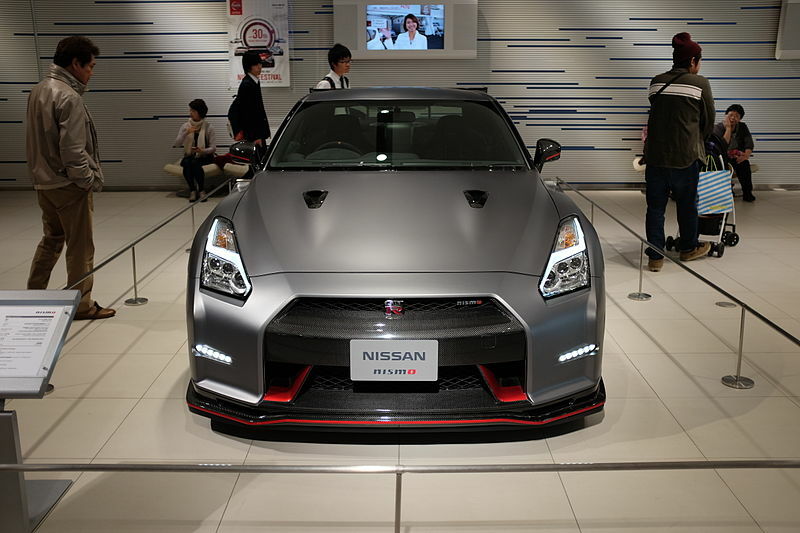 The Note Nismo would be the example for the more recent products displayed while the automobile like the GT-R R34 Z-Tune would be an example of the iconic display in the showroom. As stated earlier, these displayed change quite frequently but, nonetheless, you can be sure that whatever is exhibited during the time of your visit will be worth your while. With this said, take your time and do not move along the factory too swiftly to make sure that you don’t miss something that you’ll regret. Nismo has made their own cars but they also collaborated with Nissan to improve certain models of their cars. The most known of these collaborative works is definitely the GT-R Nismo. The latest GT-R, that isn’t Nismo, was recorded to have a power output of 419 kW. This is an impressive power output already but when Nismo modified certain aspects of the car to create the GT-R Nismo, it was able to bring the power output of the car to 441 kW with its HP reaching 590. This GT-R Nismo was so powerful and fast that it even recorded a faster lap time than a certain Porsche 911 on the Nurburgring circuit. The case of the Nissan Leaf is different from the case of the GT-R because the two car models aim to focus on different things. With the GT-R, Nismo enhanced what was already a powerful and fast car. 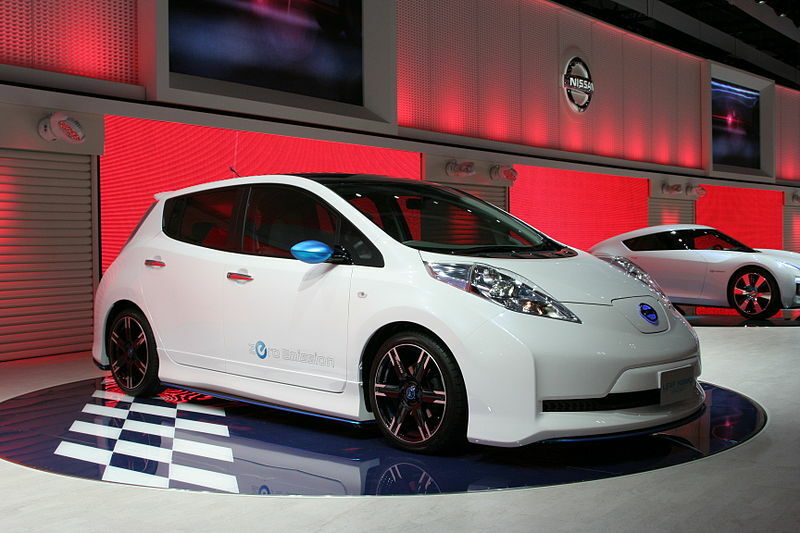 On the other hand, with the Nissan Leaf, they had to enhance its speed, power, and energy efficiency and consumption. This was a challenge because the Leaf did not use fuel at all so the lifespan of the battery or distance you can travel on a fully charged battery for this electric car was a serious constraint and variable to have and to consider. If they were to add more features, the energy consumption on the battery of the car will surely increase hence lessening the total distance it can travel for the price of speed and luxury. Fortunately, Nismo would find a way to do so and this new model of the Nissan Leaf Nismo was tried and tested by an explorer who was allowed to use a sample of the car to travel 16,000 km using only the new Nissan Leaf. He got from Russia to Japan in 60 days and achieving this feat made the market excited about this new design. There was also a car labeled as 400R. There are many version of this car like the 1997 Nismo 400R but, more importantly, this line made it possible for the world to have the R33 Skyline 400R as well as another famous model known as the S14 Silvia 270R. These models were released in the year of 1997 but due to their rarity and limited production, buying the same model nowadays would still cost you a lot because its scarcity increased its value tremendously. In a way, it has become what others might call a “limited edition” and this worked wonders in creating profit for both Nissan and Nismo. Considering all the things shared about Nismo, it is clear that they have quite the reputation as a dependable in-house tuning division for Nissan. Production and delivery of parts like brakes are made easy by them and if you are lucky enough to be able to go to the Omori factory mentioned above, you can be sure that there will be a lot of savings coming your way. Nismo has been at it for almost 34 years and their service and products have gotten better as time passed. With this said, it’s hard to see Nissan and Nismo falling back in automobile innovation as well as motorsport innovation.